Therapists use a lot of words that we assume our parents understand. We often forget that they don’t! I was reviewing some of the terms we use and decided that I wanted to talk to you about one word I use a lot—modality. Your physical therapist might use hot packs, ultrasounds, and massages. These are all modalities. We use kinesiotaping, which is a treatment modality. 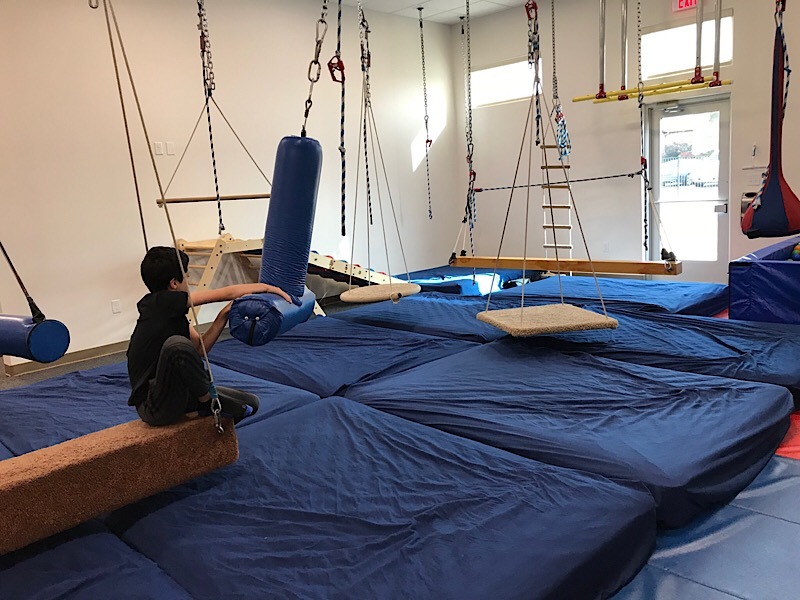 We have several therapists who are trained in sensory integration and neurodevelopmental technique (NDT). Those are modalities that are being provided. The interactive metronome that you’ve probably seen here many times is a modality. The cranio bed for craniosacral therapy is a modality. The listening programs we’ve been talking about lately with the bone conduction units—that’s another modality! So is VitalStim for speech therapy, along with SOS feeding. Aquatics is another great modality we offer! So we have multiple modalities by discipline that we work with all the time. Very often our therapists have gone to specific training to learn how to use these modalities and have become certified in them after they’ve become a therapist. One thing that most families do not know is that when therapists come out of school they’re all pretty much on a level playing field. Once they start treating clients and depending on where they work and how much training and continuing education is emphasized in their clinic, therapists will grow at different rates. If you are at a facility that offers a lot of modalities and invests a great deal in continuing education you will have a higher caliber, better-trained clinician. This is why we update our bios often so that you guys are always up to date on which modalities and specializations we offer! I hope this helps you to understand what we mean when we talk about modalities, and I hope this makes you a better detective when you’re deciding where to go for treatment! If you have any questions at all about our modalities, we’d love to talk with you!